Presbyopia is an extremely common ocular, age-related condition that affects as many as 11 million people in the U.S. alone, and usually begins at around 40 years old. It primarily affects the near-vision of a sufferer, meaning that the patient will notice it is increasingly difficult to see objects that are nearby. This can make tasks such as reading, using a computer, knitting or sewing particularly difficult. Presbyopia can affect anyone, even those people who have never needed eye glasses or contact lenses previously. Presbyopia is different to near and far-sightedness in that it is not caused by the way the light hits your retina. Instead, presbyopia is attributed to the combination of the gradual thickening of the natural lens inside your eye, and a loss of flexibility in connective tissues that allow your eye to move. This is because as we age, our body produces less collagen, the protein which helps to keep our joints mobile. The collagen in the eye is also affected by this decreased production. There have been other theories as to what causes presbyopia, but this theory is by far the most accepted. Although the biggest indicator of the development of presbyopia is vision problems at close range, there are some additional symptoms to watch out for. These include headaches, eyes that water when you are trying to focus, eyes that feel strained and a need to adjust the angle and distance at which you focus on things in order to see them clearly. If you have recently been diagnosed with presbyopia, you will probably have a number of treatment options available to you. Multifocal contact lenses are a popular choice for people who dislike wearing traditional eyeglasses. They are available in both gas permeable and soft lens material, so it is easier than ever to find the right variety for your comfort and lifestyle. Monovision lenses can also be used to treat presbyopia, although this requires a different prescription for each lens – one near-sighted and one far-sighted. The brain gradually begins to automatically train itself to use the correct eye based on whether you are looking at long distance or nearby objects. For obvious reasons, it is important not to mix up which lens goes in which eye when using monovision lenses, and it does require a period of adjustment. If after a few months you are still struggling with monovision lenses, consult with Dr. Goel who may suggest that swapping to multifocals may be the best course of action. 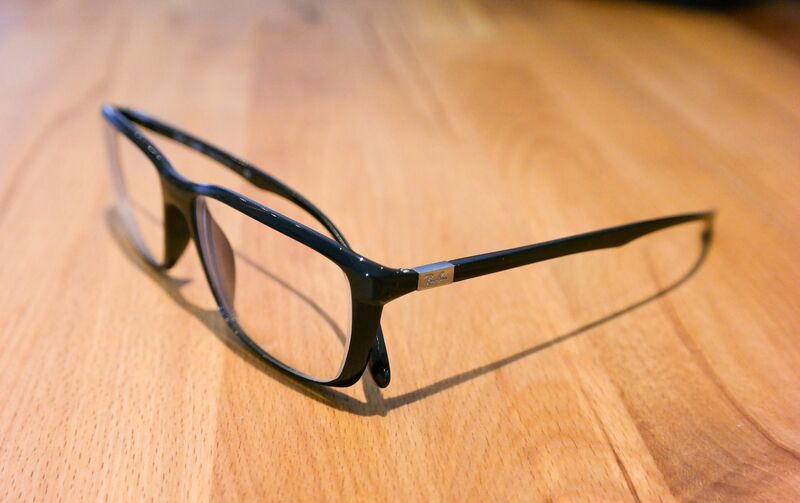 Traditional eyeglasses are the most popular choice for patients who wish to correct their presbyopia. Dr. Goel may suggest either bifocal or progressive addition lenses, both of which combine a near and far-sighted prescription into one lens. Progressive addition lenses are a newer development than bifocals and instead of a visible line separating the prescriptions they offer a more gradual transition. Alternatively, patients who have no other ocular requirements may be recommended to use reading glasses for close-up viewing. In some cases, a combination of contact lenses and eyeglasses are the best course of action for treating presbyopia. There are also several surgical options for treating presbyopia. LASIK. LASIK is the most common type of eye surgery across the globe, with more than 28 million procedures having been performed. It works by creating the monovision effect described in contact lenses, setting one eye for near vision and the other for far vision. Again, your brain will train itself to use a particular eye depending on what you are viewing. Conductive Keratoplasty (CK). In CK surgery, radio waves are used to create additional curvature in the cornea and improve close-up vision. However, results from CK surgery diminish over time. Refractive Lens Exchange. In refractive lens exchange the eye’s natural lens is replaced with an artificial prescription lens that provides multifocal vision and corrects the symptoms of presbyopia. If you have recently been diagnosed with presbyopia, Dr. Goel will be happy to work with you to find the best treatment for you based on your personal ocular requirements and lifestyle. Get in touch with the friendly, reassuring teams at our offices in Baltimore and Columbia, and take the first step towards a brighter, clearer future.